Key Difference: Fashion designing is the creative field in which trendy and appealing apparels or accessories are designed. Fashion technology covers the manufacturing process and involves a wide usage of technology in the production of apparels. 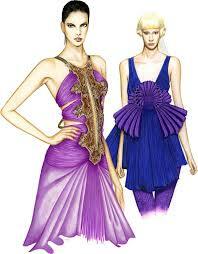 Fashion designing is an interesting topic as it is an amalgamation of style and beauty. The word is used in context to the skill incorporated in cloths and accessories by inventing innovative styles. These styles are considered to be aesthetically pleasant and tends to set trends. Fashion designing is considered a technical course as it requires some technical expertise along with the artistic and conceptual attributes. A fashion designer must possess a good knowledge of color, textile detail and style. The key word which describes fashion designing is original. All the products of fashion designing must be original creations. A fashion designer first creates sketches of the designs and then select fabrics and patters. After the selection, he or she provides the necessary instructions on the way these products will be designed. 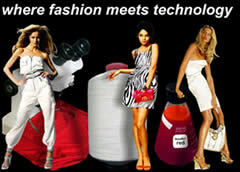 Fashion technology is closely related to fashion designing. It primarily focuses on the fabric types and suitability. It deals with the study of fabric and then choosing the appropriate fabric for the final product. Therefore, rather than focusing mainly on the design as in the case of fashion designing, fashion technology primarily deals with the core garment manufacturing technology. It is more involved in to the apparel production. As the word suggests, it makes use of the technology driven tools in its domain. Fashion designing and fashion technology are generally considered to be closely related and therefore many times, the terms are collectively used as Fashion design and Technology. However, there is a difference between them. Fashion designing deals with the designing aspect of this industry, in which fashion designer focuses on designing innovative clothes and accessories. On the other hand, fashion technology is more about use of technology for the production of the fabrics. It is the technical aspect of the fashion domain. Many colleges also offer these programs as separate programs. Generally, the eligibility for a fashion designing course is not as rigid as for the course of fashion technology. Generally, a candidate needs to have studied Physics, Chemistry and Math at 10+2 level. Sketches of the design, etc. Fabric processing, production process, etc.